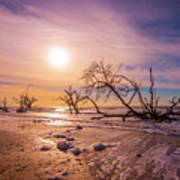 Morning On Boneyard Beach by Steven Ainsworth - 10.000" x 6.625"
Morning On Boneyard Beach acrylic print by Steven Ainsworth. Bring your artwork to life with the stylish lines and added depth of an acrylic print. Your image gets printed directly onto the back of a 1/4" thick sheet of clear acrylic. The high gloss of the acrylic sheet complements the rich colors of any image to produce stunning results. Two different mounting options are available, see below. Aloha, Sharon, thanks for the feature! Thank you, Jim, for the comment and L/F! Thank you, Ann, appreciate the comment and f/l! 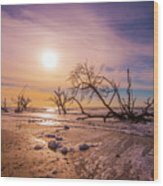 Naomi, thank you for featuring this image in "South Carolina Artists"! Patricia, thank you for favoring and featuring this image in your group "Waiting Room Art"! Darren, thank you for the feature in "Water, Water, and Water"! 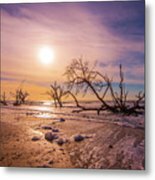 Thank you, John, for the feature in your group "Images That Excite You!" Beth, thank you for featuring this image in your group "All Natural Beauty of This World". 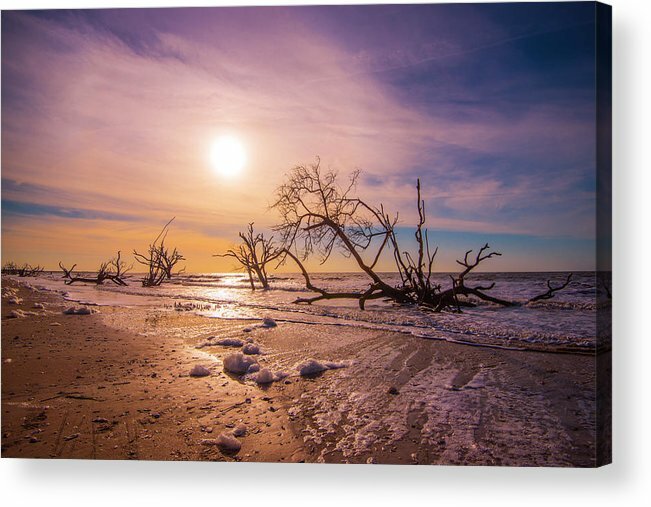 The sun rises over Boneyard Beach at Botany Bay, off the coast of South Carolina's Edisto Island.